In the domain of pet advocacy, the latent potential for crowd interaction comes fromintrinsic and extrinsic motivations—we focus on how that potentialwas transformed intoa viable form of distributed, decentralized cooperative work. 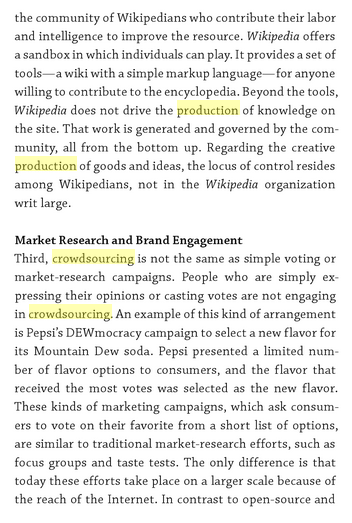 Finally, a maincontribution of this research lies in the examination of the solicitation of expertise in a digitally-connected world, where widely distributed and diverse expertise must nevertheless be realized under highly localized conditions. Capacity can also affect crisis potential through staffing decisions that affect the diversity of acts that are available. Enactment is labour-intensive, which means understaffing has serious effects. 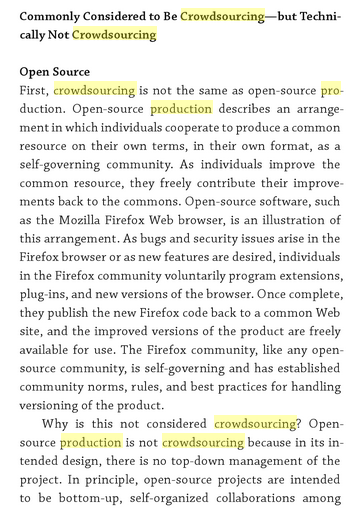 Diverse labor force is also a central principle of effective crowdsourcing and collective intelligence. 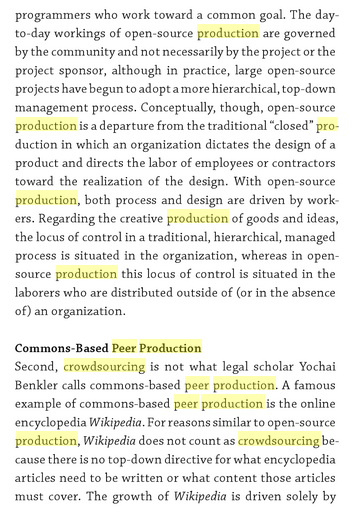 Benkler makes a really bold statement here about how peer production differs from collective intelligence. Not sure I buy this argument. Consensus building tool used by Wikidata and others. The scientific ecosystem web platform.